LeTAO—a dessert chain from Hokkaido known for its two-layered fromage cheesecake—is opening in Singapore. It will be setting up a takeaway kiosk at ION Orchard’s Basement 1 on 08 December 2016. Aren’t you already excited? These Japanese cheesecakes are taking over the world and we cannot be happier! Brothers In Fine Food, a new cafe open in Tampines West Community Centre, is opened by the good folks behind Penny University. 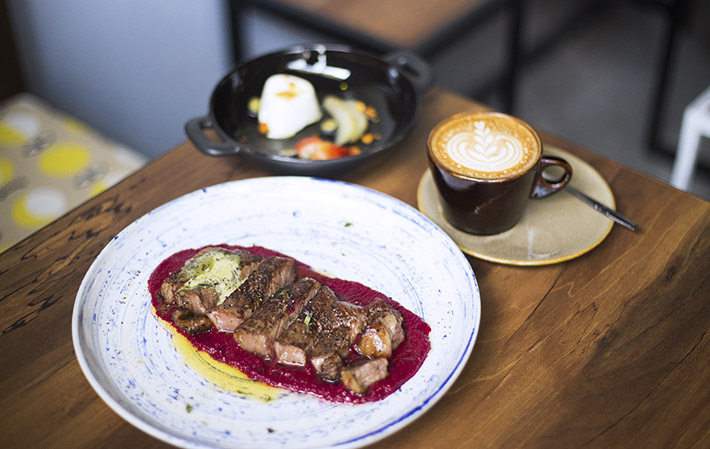 The space sits in the heart of the Tampines West residential cluster and it is definitely one of the new cafés in Singapore that you should not miss out on. Happy 2nd birthday, our favourite waffles heaven Twenty Grammes! Twenty Grammes is a dessert bar that has been so popular since its first outlet in North Bridge Road, and the newer outlet at Ang Mo Kio is no less inviting. They specialise in waffles and ice cream, and that’s pretty much the best things on earth. In conjunction with their 2nd anniversary this month, Twenty Grammes has rolled out a dessert that is bound to get you excited—Hojicha Soft Serve on Waffle. And on top of that, we have a really great deal for all of you. From now until 23 December 2016, quote ‘ladyironchef’ to get 50% OFF the second waffle or bingsu (on the lower-priced item) on weekdays. Here are 10 Most Instagrammable Desserts From Twenty Grammes. The number of cafes in Rangoon Road has grown steadily over the past years and the quaint Farrer Park neighbourhood is now home to an eclectic mix of old-school coffee shops, hipster-looking cafes and whatnot. Icebox Cafe – one of the newer kids on the block – has come up with its version of Dominique Ansel-inspired Cookie and Milk Shots. We love strawberry shortcakes so much that we do not mind eating a slice every single day. The pillowy sponge cake – alternated with layers of luscious whipped cream and juicy strawberries – makes a wonderful treat at any time of the day. The very first strawberry shortcake was created in Europe back in the 1500′s and today, the classic dessert has evolved tremendously. We now see countless of interpretations across the world. From Henri Charpentier to Lady M Confections, here is our Guide to The Best Strawberry Shortcakes in Singapore that are worth the calories. The sheer number of ice-cream shops in Singapore would leave everyone dizzy with glee, but have you ever come across a store that specialises in Japanese yam soft serve? Nope. Not at all. But that gap has alas been met with the recent opening of Small Potatoes Ice Creamery! Small Potatoes Ice Creamery is a Hong Kong franchise that serves pretty purple potato ice cream and yes, these ice-cold sweet treats are in a very rich purple hue. These photogenic desserts are not overwhelmingly sweet and come with a variety of toppings. The word ‘chocolate’ has almost become synonymous with our home-grown brand – Awfully Chocolate. At least, it is so for Singaporeans. 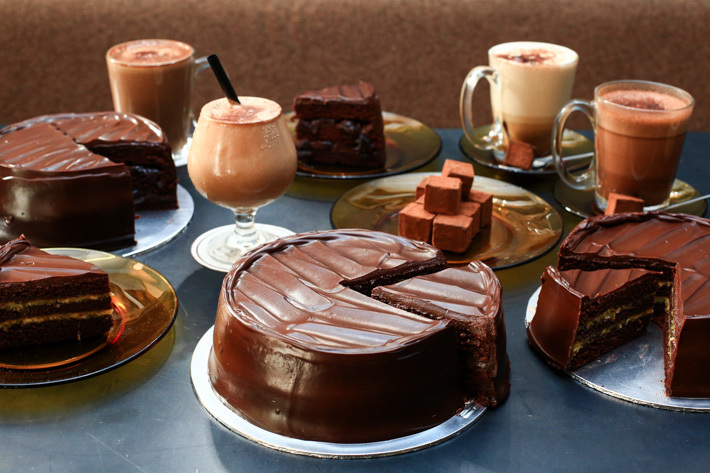 In the past few years, the brand has grown significantly with many outlets islandwide now, but one thing remains – the awesomeness of their chocolate cakes. That, we will always swear by. Marina Bay Link Mall is their next conquest. Much like the main outlet in Katong, the spanking new outlet will offer a selection of chocolate-focused drinks, including a menu of brand new and never-before-seen ones. Of course, you can still pick up their popular whole cakes here. To celebrate the opening of the new outlet at Marina Bay Link Mall, Awfully Chocolate will be offering a complimentary box of their gorgeous Dark Chocolate Truffles with every order of a whole cake*. Meanwhile, here’s to all you fellow chocolate lovers. Let’s party with Awfully Chocolate!